Biological Enterprises is The Leading Manufacturers of California Bearing Ratio Test Apparatus and they are fabricated as per IS: 2720 (Part XVI). 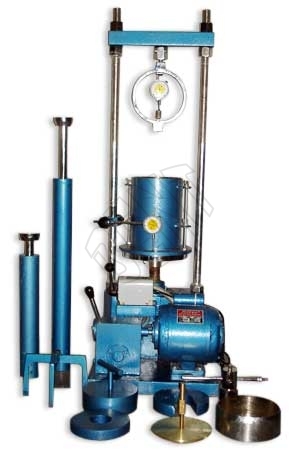 California Bearing Ratio Test Apparatus is used to determine the bearing capacity of soils quickly and efficiently. This apparatus is highly useful in determining the load carrying capacity in the field. This apparatus is a very useful Soil Testing Equipment and we are one of the major Manufacturers and Suppliers of it. Cutting collar and circular spacer disc with detachable handle.